Rooting Kavu (Wühlender Kavu) inkl. 0% MwSt. 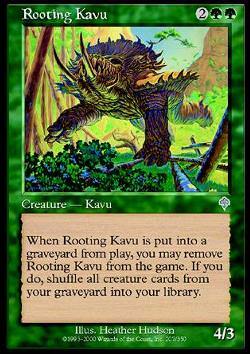 Kartentext: When Rooting Kavu is put into a graveyard from play, you may remove Rooting Kavu from the game. If you do, shuffle all creature cards from your graveyard into your library.